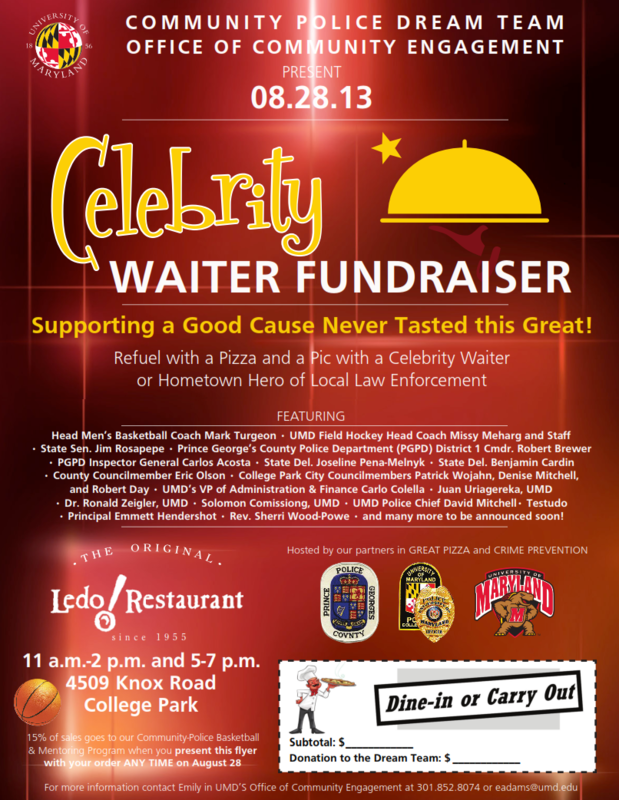 Mark your calendar now for the Celebrity Waiter event at the Original Ledo Restaurant in downtown College Park, Wednesday, August 28 from 10am-2pm and from 5-7pm. During this event, 15% of the bill of any participating customer will go to support the Prince George’s County Police Dream Team program, which allows our local police to engage with youth from our neighborhoods once a month in friendly basketball games. Featuring College Park Community Foundation board member Patrick Wojahn, among many others.